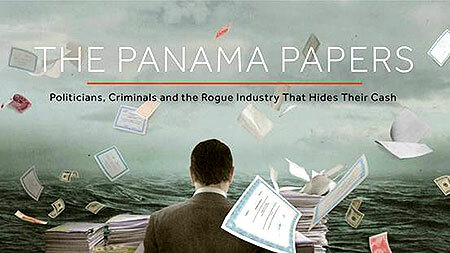 The Panama Papers are 11.5 million leaked documents-their release coordinated by the International Consortium of Investigative Journalists-which detail the offshore financial holdings of wealthy individuals across the globe, including public officials. Although offshore companies are not illegal, there are fears that they may have been created to avoid local tax regimes, and the wealth stashed may have been accumulated through illegal means. Of the many imports that have come to affect the trajectory of Pakistan’s politics, none appears to be more consequential recently as the Panama Papers, which came to light on April 03, 2016. The centre of the resultant controversy has been the family of the Honourable Prime Minister of Pakistan, Mr. Muhammad Nawaz Sharif, MNA. His children’s offshore holdings, which came to light in the Panama Papers, re-ignited allegations of corruption allegedly undertaken by the Sharif family, through their stints in power. The subsequent political maelstrom saw a flurry of politicking by the opposition parties, coalescing around calls for the Prime Minister’s resignation and formation of an independent Inquiry Commission under the Chief Justice of Supreme Court. The theatrics included an endless barrage of press conferences, two addresses by the Premier to the nation, holding of political rallies across the country, and the usual and endless media commentaries on the issue. Although media commentators have had a field day with the above developments, emphasizing that the Military leadership is exerting pressure on the elected leadership to carry out ‘across the board accountability’, there are two possible explanations to the development. Firstly, since the release of the Panama Papers, there has been much deliberation regarding how the issue can be resolved. Even though the Papers do not prove any corrupt practices in and of themself, these have generated significant commotion globally, and various countries have dealt with it such that the political leadership has been taken to account. The COAS, through his statements and actions, could have possibly wanted to establish the concept of across the board accountability. A second, more charitable view is that the COAS’ statement and actions may not be related to the Panama Papers at all. He could have wanted to address the question of corruption within the Armed Forces, by publically sending the concerned officers on forced retirement. With the statement of April 19, 2016, he could possibly be preparing his constituency, that is the Armed Forces, that he was about to take such an action by setting the context for it. We believe that there is no doubt about the commitment of our Armed Forces to various national causes. They have come to the rescue on various occasions such as in disaster relief efforts, curbing electrical power theft, rounding up ghost schools, carrying out census duties, etc. We believe that stating this at this particular occasion and the exact message it conveys is probably something difficult to decipher. It is hoped that the Military leadership moves quickly to answer these queries, so that any harmful and false rumours in this regard can be put to rest. It is hoped that the opacity displayed in the NLC scam (in which the case files have still not been shared with the NAB and an inquiry is pending) will not be repeated in this case as well. Punjab has seen the continuity of the same civilian Government for the past eight years. This is continuity of not just the same political party (PML-N), but of the same person (Honourable Chief Minister of the Punjab, Mr. Muhammad Shahbaz Sharif, MPA). He is also regarded by many, due to the apparently strong governance, favourable public opinion, and close proximity to the Federal Government, to be the most effective amongst the four Chief Ministers. However, just the existence of the Chottu gang over the years is a sad indictment on the inability of the Punjab Government on upholding the rule of law across the province. How the Chottu gang was eventually taken care of is yet another reflection of the utter failure of effective governance by the elected Government in this case. As a case study, the existence of Chottu gang reflects so many fissures and failures in the system. Failure of the Police and of civil administration, absence of effective and empowered local governance and failure of the Provincial Government. The case brings to light the critical necessity of rule of law reforms, the role of not just executive control and oversight but also the lapse by the elected representatives from the region to raise the issue on the floor of the Assembly and in relevant committees until it blew up in their face. 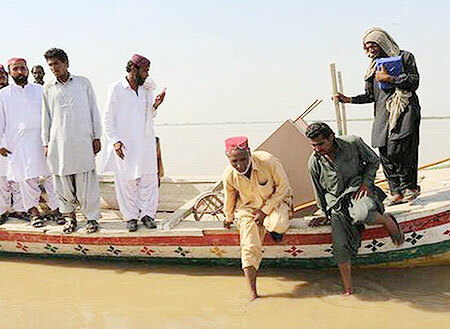 Given that Punjab is a large province, and Rajanpur lies at the peripheries of it, it has become obvious that an over-centralized system of governance has many disadvantages. For such a long time these dacoits had entrenched themselves in the area, but the Government in Lahore failed to realize the gravity of the situation and allowed them to fortify their position. This not only shows the ineffectiveness of the Provincial Government to be aware of what is happening in the extremities of the province, but also the inability of the Police to run such operations, where they had to retreat on multiple occasions after suffering heavy losses. However, the real question citizens are entitled to ask now is that, given the serious security challenges Pakistan faces, has the Punjab Government and elected representatives drawn any lessons for the future? 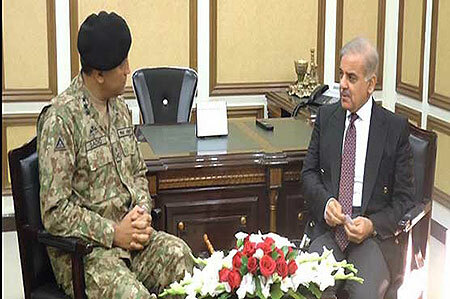 As noted in the Monitor for Civil-Military Relations, March 2016,4 the separate consultations held by the Prime Minister and COAS after the Lahore Attack on March 27, 2016 created impression of a disjointed response by the elected Government and the Military leadership to the tragedy. Many believed that apparently the elected Government is not really in-charge and the subsequent operation in Punjab, ordered by the COAS against the terrorists, was not under a unified system led by the elected leadership. The second consultation saw the Federal Minister for Finance, Senator Ishaq Dar, ‘calling on’ the COAS at the GHQ on April 01, 2016 ‘to discuss matters related to the Army budget’.6 Meeting between the Prime Minister and the COAS on April 04, 2016, followed in which ‘matters related to national and internal security were discussed’.7 The National Security Committee of the Cabinet also met on April 06, 2016 under the chairmanship of the Prime Minister.